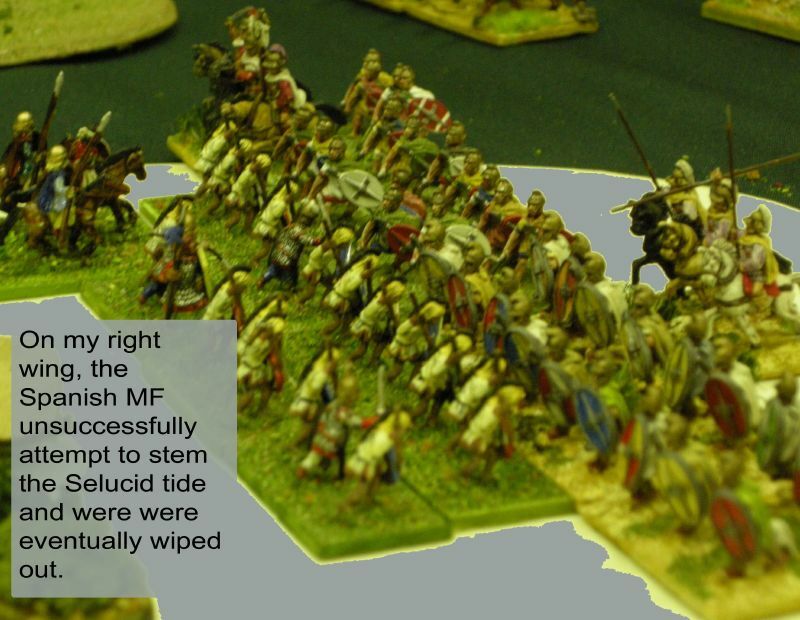 Looking at the list it was clear the Imitation Legionaries (AKA “FAKES”) were a ‘must’, as were elephants. 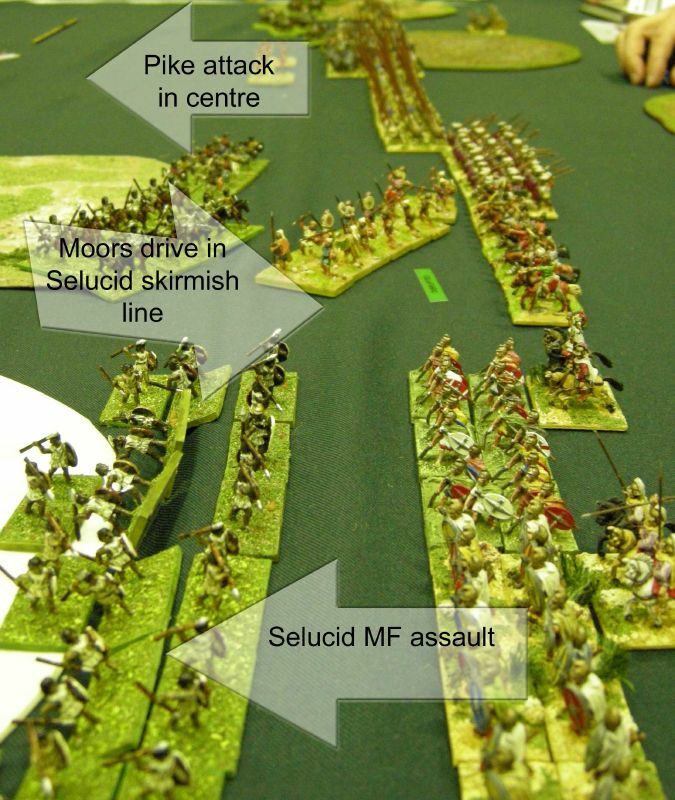 Looking at the options the Spanish MF employed by King Bogud in 47 BC seemed to be most useful. 16 BGs with an initiative of 3. The battle plan was to create two groups of skirmishers, one on each wing. The FAKES and Elephants would be positioned centrally, on the rear table edge, and march where they would be most useful. 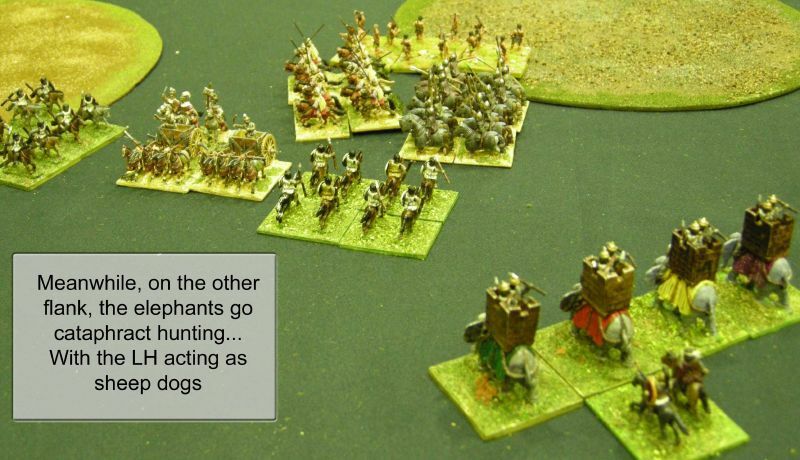 Although the FAKES and Spanish weren’t particularly star troops, 32 impact foot bases and 4 elephants meant that the opponent couldn’t ignore them and concentrate on driving the skirmishers off the table. Game 1 vs Jerome Bodelle’s Selucids. 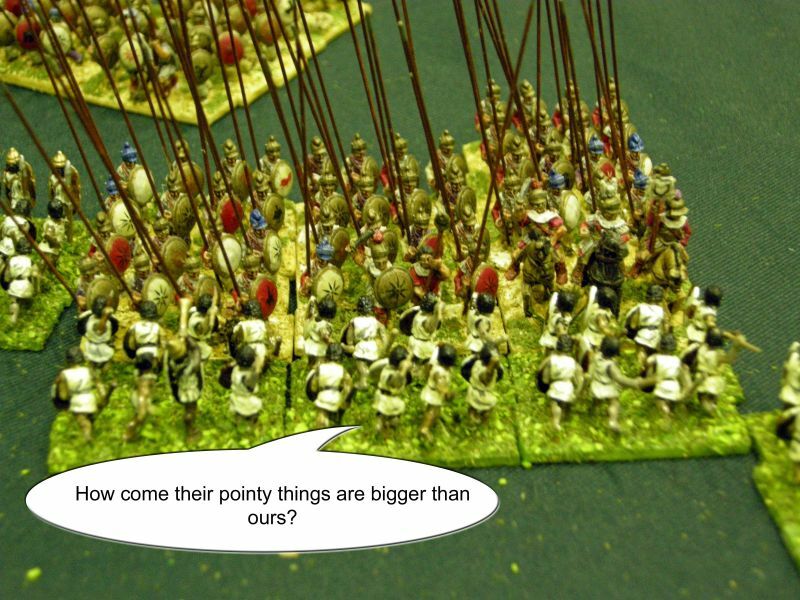 Operating “in haphazard groups” (Sallust) they would harass the enemy with a rain of javelins, outflanking and surrounding them, but scattering to avoid enemy charges. Jerome was the no.1 seed, so clearly game 1 wasn’t going to be a piece of cake. 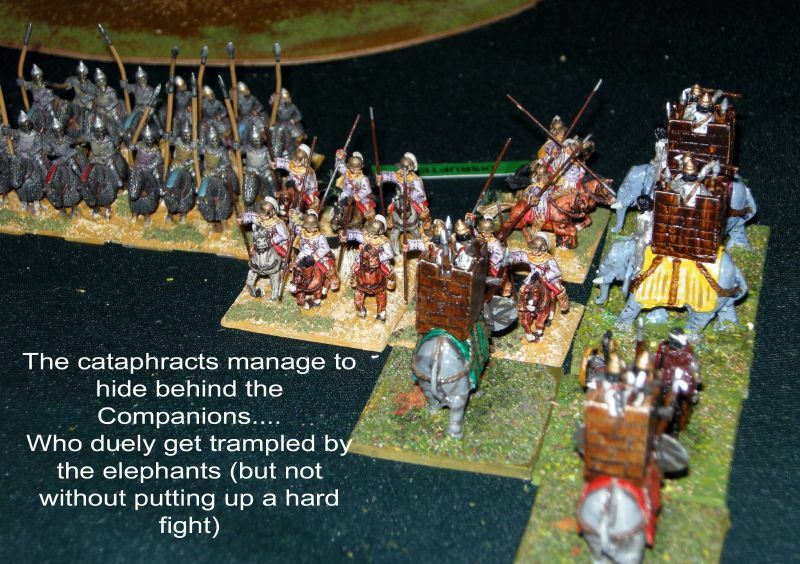 I controlled the terrain so went for steppe with a lot of broken ground, which my LH and elephants could operate in. Jermone planned to delay on his right, whilst attacking in the centre and left. I wanted to delay on my right and centre, and attacked against Jerome’s weak left. The Spanish were dispersed, leaving my right wing open. I then used one unit of LF javelinmen to try and slow down the thureophoroi whilst the rest did a runner for a safer sector of the table. This caused a massive traffic jam as my LF tried to avoid the thureophoroi swinging in from the flank and the pikes advancing in the centre. A few BGs managed to squeeze out of the trap, a few didn’t. I was 2 BG’s down. The Companions went down, and 2 BGs of LH slipped around the flank to take out the Selucid LH and the baggage. 2 BGs to me and the camp…. 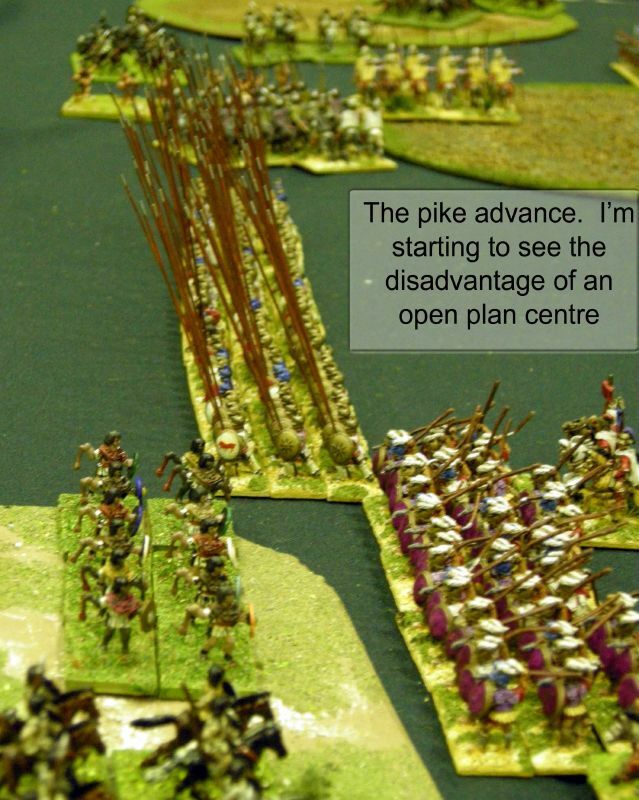 The FAKES didn’t survive much past first contact with the pikes. I failed to disrupt any pike BGs and consequently I was on a double negative POA for melee. I rapidly lost three BGs of FAKES, to make a total loss of 5 BGs. Everything was descending on my camp. But time was called and the game ended. A loss: 6 points to me, 10 to Jerome. Jerome used his units well, frequently using the 2 MU restricted area to limit the options of my more mobile troops. Last edited by neilhammond on Fri Apr 25, 2008 5:40 pm, edited 1 time in total. fun report, I loved the pictures !! This is a great report. What I can't seem to understand is how you remember to snap the photos during a game. I have decided to do it several times, and failed entirely each time. babyshark wrote: This is a great report. What I can't seem to understand is how you remember to snap the photos during a game. I have decided to do it several times, and failed entirely each time. I actually agree.I think i need to try harder! They really were worth 9000 words. great report. Can't wait to see the photos of our battle. madaxeman wrote: I actually agree.I think i need to try harder! It's the arrows and captions that do the trick for me. Because you separate the text and the images, sometimes it's hard to tell what the text refers to. 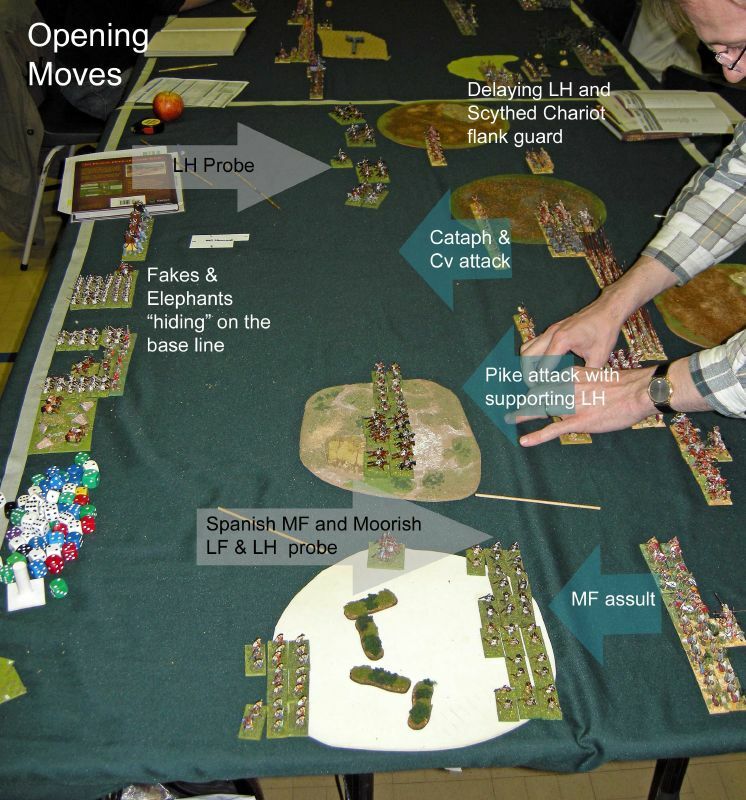 Things I really like about madaxeman reports are the comments by the troops and the parenthesis quotes explaining concepts of the rules as they explain certaing actions in the game. Thanks Neil. I realy enjoyed that.